Burkely Duffield (ABC Family/Katie Yu). Will they go above and beyond? Freeform has begun production on its upcoming Beyond TV series. A one-hour supernatural drama, Beyond features Holden, a young man who wakes from a dozen years in a coma, to find he possesses paranormal abilities. 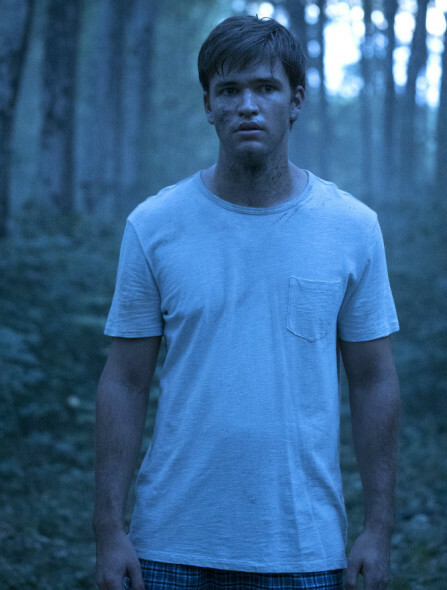 The cast of Beyond includes: Burkely Duffield, Romy Rosemont, Michael McGrady, Jonathan Whitesell, Dilan Gwyn, and Jeff Pierre. The series comes from Imperative Entertainment and Automatik. Beyond is created, written and executive produced by Adam Nussdorf. Tim Kring, David Eick,, Zak Kadison, Justin Levy, and Brian Kavanaugh-Jones are executive producing. Get more information from this Freeform press release. Production begins this week in Vancouver on Freeform’s latest original series “Beyond.” “Beyond” is a one-hour drama about Holden, a young man who wakes up from a coma after 12 years and discovers new abilities that propel him into the middle of a dangerous conspiracy. Now Holden must try and figure out what happened to him during those 12 years; how to survive a world that changed while he was gone; and answer the question, why did this happen to him? From Imperative Entertainment and Automatik, “Beyond” is created, written and executive produced by Adam Nussdorf (“Once Upon a Time in Wonderland”). Tim Kring (“Heroes”), David Eick, Steven Adelson, Zak Kadison, Justin Levy and Brian Kavanaugh-Jones will serve as executive producers. The series stars Burkely Duffield (“House of Anubis”), Romy Rosemont (“Glee”), Michael McGrady (“American Crime Story”), Jonathan Whitesell (“The 100”), Dilan Gwyn (“DaVinci’s Demons”), and Jeff Pierre (“Shameless”). Part of the Disney|ABC Television Group, Freeform is distributed in 94 million homes. The network connects to audiences and goes beyond entertainment with bold original programming and immersive social engagement. The network delivers a unique mix of quality original and acquired series, plus fan favorite movies and the holiday events “13 Nights of Halloween” and “25 Days of Christmas.” The Freeform app is a service that allows viewers with participating TV subscription services access to 24/7 live viewing of the network, as well as continued on-demand access via a wide array of devices. What do you think? How do you like the sound of Freeform’s Beyond TV show? What do you think of the cast, so far? Do you plan to watch? Tell us. More about: Beyond, Beyond: canceled or renewed?, Freeform TV shows: canceled or renewed? Beyond: Is the Freeform TV Series Cancelled or Renewed for Season Two? will there be a season 3?? i sure hope so! OMG how refreshing of a series. Great watching and watched the entire season and was hooked. Please have a series 2 and keep this neat channel developing more. I just binge watched this show, it was wonderfully imaginative. Please make season 2. Just finished watching the whole series and want to see season 2 as soon as possible. Great plot and great acting. I really enjoyed this show. The hook was great and followed through, not like many other shows out there that jump you several months per episode. Great continuity and storyline. Please renew for next season!!!!!! Can’t wait to see what is going to happen next. I LOVE THIS SHOW. BETTER BE A SEASON 2. YOU HAVE 3 FANS HERE IN MY HOME. The wife and I watched all the episodes and loved the series. When does season 2 start? We watched the entire season 1 on Comcast on demand & loved the show!!! We’ve been trying to find out when season 2 starts, to no avail.